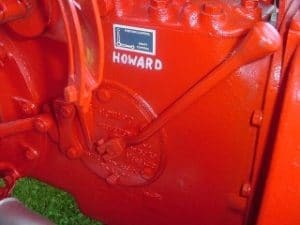 What is the Howard Gear Unit? 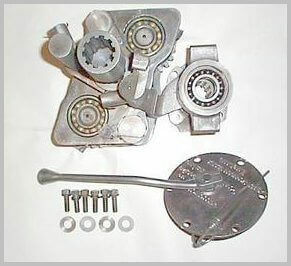 The Howard gear reduction unit mounts to the back of the regular transmission housing and has a shift lever on the side cover where the dipstick was located. The Howard did not affect the pto speed, it only reduced the tractor ground speed which makes it the only auxiliary transmission for the N tractors that is suitable for running a tiller . 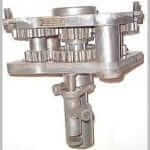 Gear reduction is about 3.5 to 1. These were originally designed to be used with the Howard Rotovator, a rear mounted rototiller. They were somewhat fragile if abused and broke gears easily. Complete Howard transmissions or replacement gears for these units are nearly impossible to find. The Howard transmissions for the NAA and hundred series tractors were redesigned with planetary gears and are much more durable.